This is the view of the building from Parklawn Drive, a couple dozen feet from the intersection of Randolph and Parklawn. 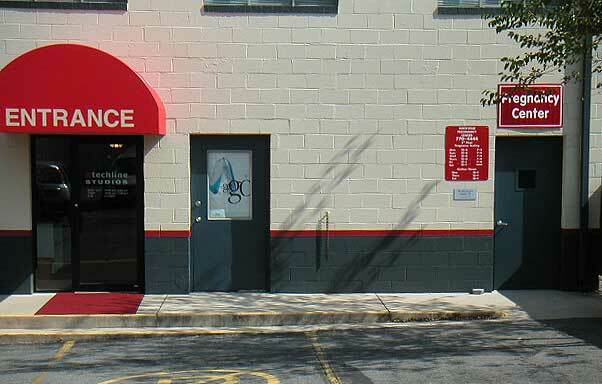 You can't actually reach the Pi office from the front of the building, which is a good thing: there is no parking. 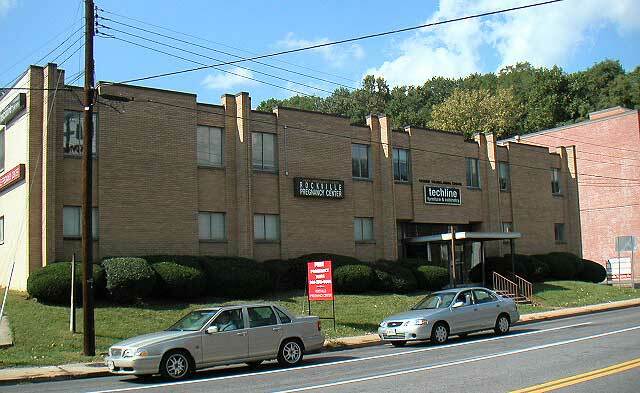 The entrance is on the side of the building, down a narrow driveway. Note the Washington Apple Pi sign on the building marquee. 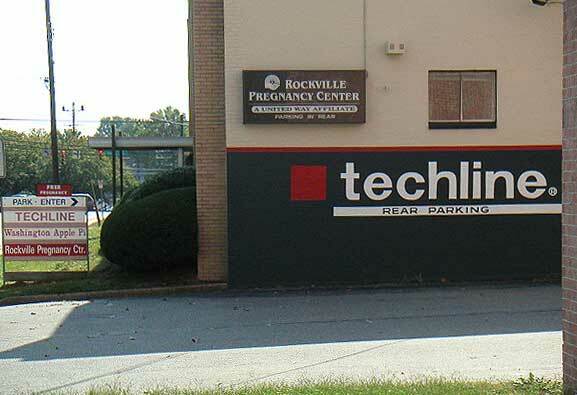 The canopied entrance is to Techline, a furniture manufacturer. You enter the Pi office through the door marked "Pregnancy Center." Yes, that really is an Apple iBook (first version) poster in one door window, but that isn't the entrance.